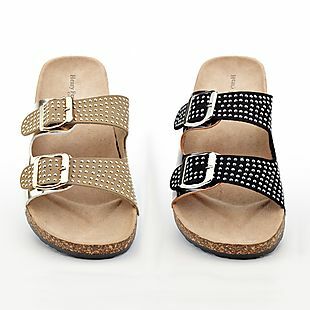 Women's Bionica sandals are marked down by 50-70% at NordstromRack.com. Choose from 12 styles, including the pictured Yolanda Wedge Sandals, which drop from $109.95 to $49.95, the lowest price we found by $40. They feature leather uppers, cushioned footbeds, and grip soles. Shipping is free when you spend $100. Otherwise, it adds $7.95. Sales tax is charged in most states. 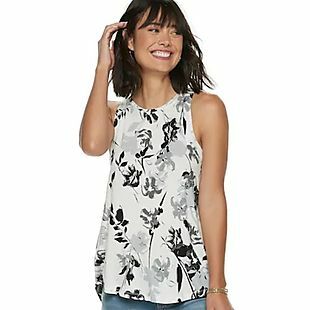 Save up to 60% on a selection of shoes for men, women, and kids at Kohls.com. 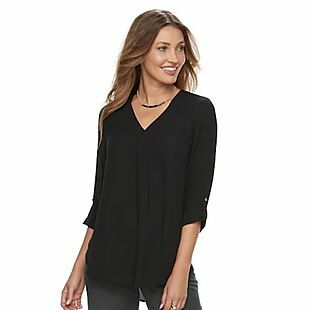 You'll also earn $10 in Kohl's Cash for every $50 you spend. 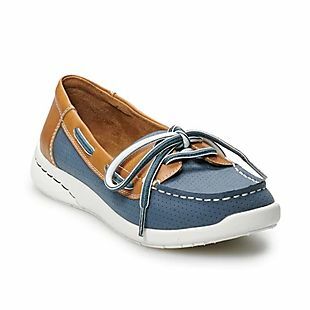 Check out the pictured Croft & Barrow Steeple Boat Shoes, which drop from $49.99 to $19.99, the lowest price we could find based on similar shoes. And these men's Croft and Barrow Ellis Fisherman Sandals drop from $59.99 to $19.99. Shipping adds $8.95 or is free over $75, or you can choose free in-store pickup at many locations. Sales tax is charged in most states. 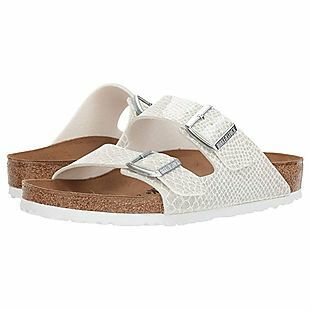 These women's sandals drop from $16.99 to $7.99 at Kohls.com. Shipping adds $8.95 or is free when you spend $75 or more. Choose from 14 styles in multiple colors, including these LC Lauren Conrad Thong Flip-Flops in 18 colors and the pictured Mudd Molded Double-Strap Sandals in six colors. This is the best price we've seen so far this season. Similar styles sell for around $7 more per pair. Sales tax is charged in most states. Exclusively for our readers, these women's Muk Luks Terri Sandals drop from $45 to $22.99 when you click "Power Deal" and enter our code BRDSTERRI during checkout at MassGenie. All orders ship for free. With free shipping, this is the lowest price we found by $3. Most retailers are charging $10-$19 more. Choose from four colors. Sales tax is charged in most states. 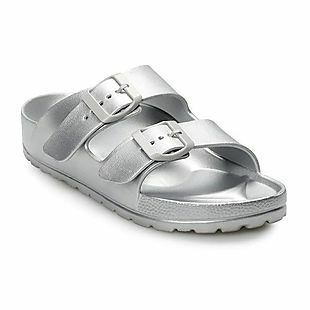 This pair of women's Birkenstock Gizeh Sandals listed for $94.95, but you can get them for $58 when you apply our exclusive code BD58 at checkout at Proozy. Shipping is free. That's the lowest final price we found by $3. Plus they're available in several colors. Sales tax is charged in most states. This selection of women's shoes and boots is 50-75% off at Macys.com. Plus shipping is free when you spend over $75. Otherwise, it starts at $9.95. You can also check if a specific style is available in your local store for free pickup. Choose from over 700 styles. These women's ZiGi Soho Kerin Booties in Leopard drop from $69 to $15.03. The next best price we found for these was $48. Also, the pictured women's Style & Co Hyrine Shooties drop from $69.50 to $37.93 in three colors. 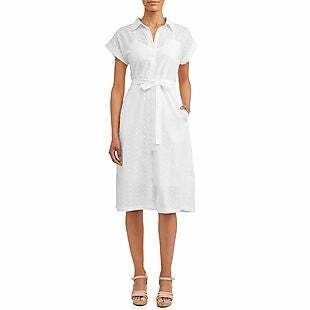 This is the best price we found by $12 for a similar style. Sales tax is charged in most states. These women's B.O.C. 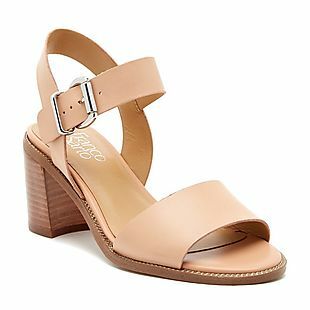 Rosa Clogs drop from $74.99 to $25 at FamousFootwear.com. Shipping is free when you create or log into your free Famous Rewards account. This is the best price we found by $15 shipped. 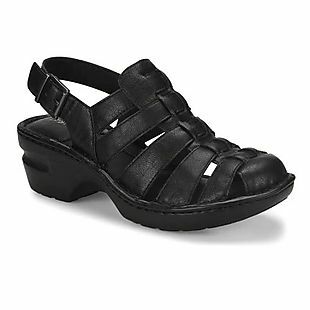 They feature a faux-leather upper, an adjustable buckle-strap closure, and a comfort footbed. Choose from two colors. Sales tax is charged in most states. This women's 2-Pair Pack of Henry Ferrera Sandals, originally listed at $99, drops from $34.99 to $32.99 when you use our exclusive promo code BRADSDEALS during checkout at Tanga. Plus shipping is free. This deal is only found at Tanga, and similar sandals go for about $40 per pair at other sites. One of the styles is tan with gold accents and the other pair is black with pewter accents. Sizes 6-11 are available. Sales tax is charged in most states. 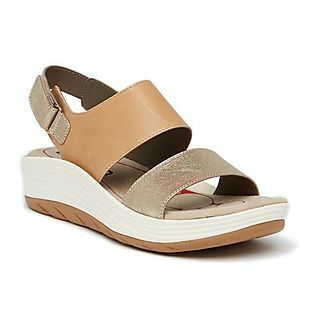 These Clarks Lexi Myrtle Sandals drop from $85 to $49.56 to $37.17 when you add code 25FORBRADS at checkout at Shoes.com. Plus shipping is free. Most sites are selling them for at least $60 and we rarely see similar Clarks styles drop this low. Choose from Black, Brown or White colors. Sales tax is charged in most states. 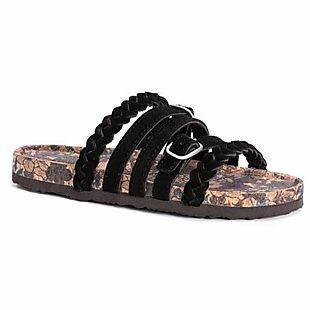 Limited quantities of these women's Birkenstock Arizona Sandals in Snake (pictured) or Stones drop from $99.99 to $59.97 at Zappos. We rarely see these drop below full price, and a 40% off discount is one of the best we've ever seen. Sales tax is charged in most states. Save up to 55% on name-brand footwear for women, men, and kids at Journeys.com. Shipping is free on orders of at least $39.98, or it adds $4.95 otherwise. 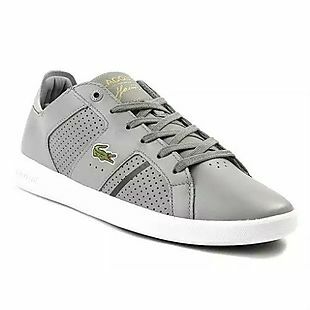 These men's Lacoste Novas Sneakers drop from $89.99 to $39.99. We couldn't find a similar pair for less than $55, and it's the lowest price on this light gray color by $36. For women, these Roxy Bayshore Mules drop from $44.99 to $19.99, a price low by $8. Sales tax is charged in most states. 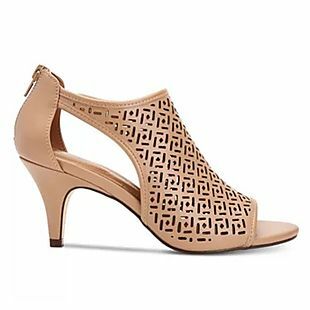 Exclusively for our readers, these women's Henry Ferrara Slingback Sandals, originally listed at $59, drop from $29.99 to $28.99 at Tanga when you add our coupon code BRADSDEALS at checkout. Plus shipping is free. That's the lowest price we found by $10. 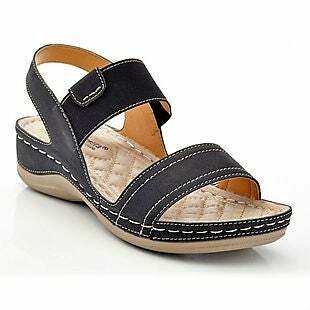 These sandals feature synthetic and fabric uppers with a 2" wedge heel. Choose from three colors. Sales tax is charged in most states. 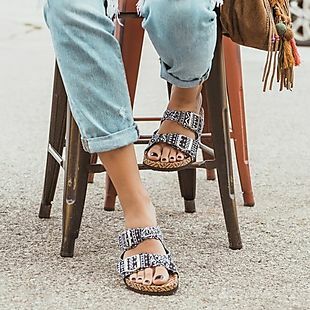 Exclusively for our readers, these women's Muk Luks Terri Sandals are on sale for $19.99 at Tanga, but you can get an extra $1 off when you add our promo code BRADSDEALS at checkout. Plus shipping is free. This is the lowest price by $7, and most sites are charging $29-$39 for this style. They are available in four colors. Sales tax is charged in most states. 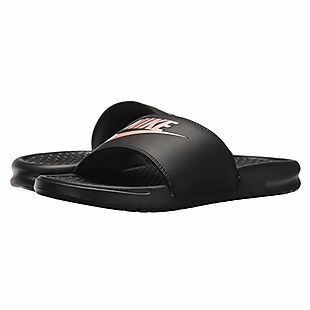 These Nike Benassi JDI Slides drop from $25 to $19.99 at Zappos.com, plus shipping is free. This is a price low by $5. They are available in eight colors in women's sizes 5-12. Sales tax is charged in most states. 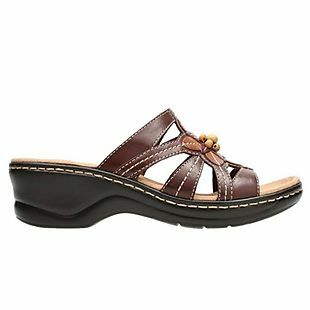 Exclusively for our readers, these women's Muk Luks Juliette Sandals drop from $39.99 to $21.99 at $19.99 at Tanga when you add our promo code BRADSDEALS at checkout. Plus shipping is free. This is the lowest price by $6, and most sites are charging $34-$48 for this style. They are available in multiple colors. Please note that this is a final sale, so no returns or exchanges are accepted. Sales tax is charged in most states. Shop this selection of men's and women's slides, sandals, and slippers which drop to as low as $9.99 at Dream Products. Plus enter promo code FEET20 to save an extra 20% on any of these styles. Even better, shipping is free. 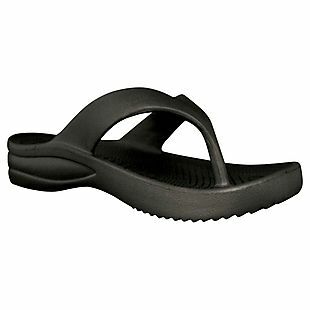 For example, the pictured Massaging Comfort Slides drop from $16.99 to $9.99 to $7.99 after the code. That's the lowest price we've ever seen on this style. These slip-on sandals feature strategically-placed nodules to stimulate your foot's pressure points. Even better, there is no sales tax (except CA). These Original Flip-Flops from Dawgs Footwear drop from $16.99 to $10.99 when you enter our code BRADSFLIP at checkout. Even including the $3.99 shipping fee, this is the best price we can find. Other retailers sell these for $17-$21. The lightweight sandals have a massaging footbed and come in multiple colors. Sales tax is charged in most states. 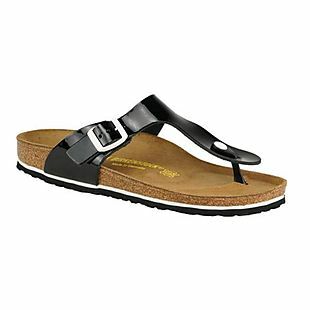 These women's Z Sandals from Dawgs Footwear drop from $24.99 to $16.01 when you enter the code ORIGINALZ at checkout. With the $3.99 discount, this is the best price we can find on this variety of colors and sizes. These typically sell for $25 or more. The lightweight shoes come in 16 colors in sizes 5-11. 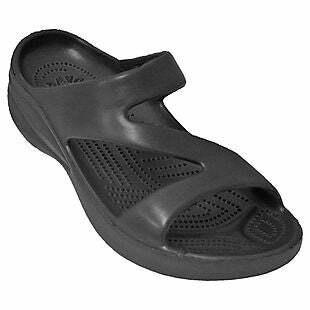 They provide arch support and have a massaging footbed. Sales tax is charged in most states.